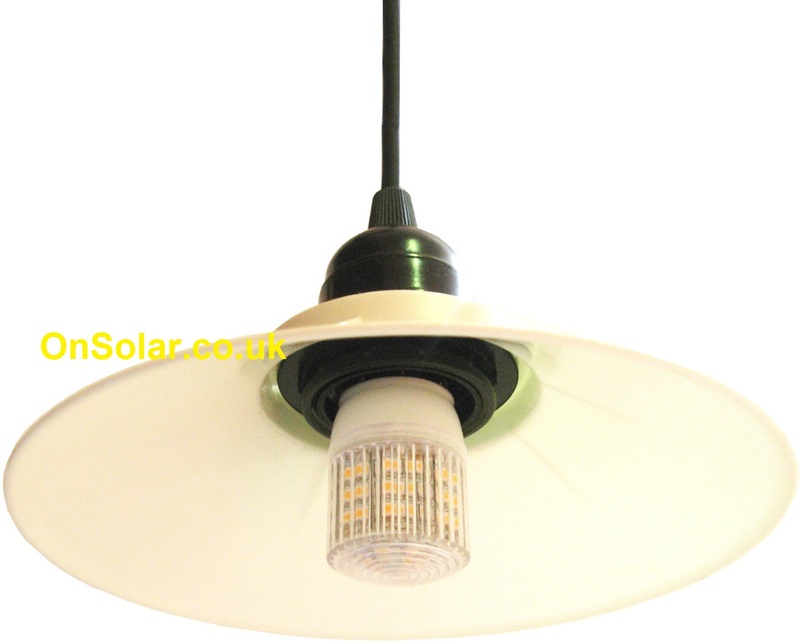 Recently one of our customers had purchased lighting products from us including a set of or Low Energy 3W LED stable lighting units and 10A solar regulators. He very kindly agreed to provide us with some images to illustrate the project. 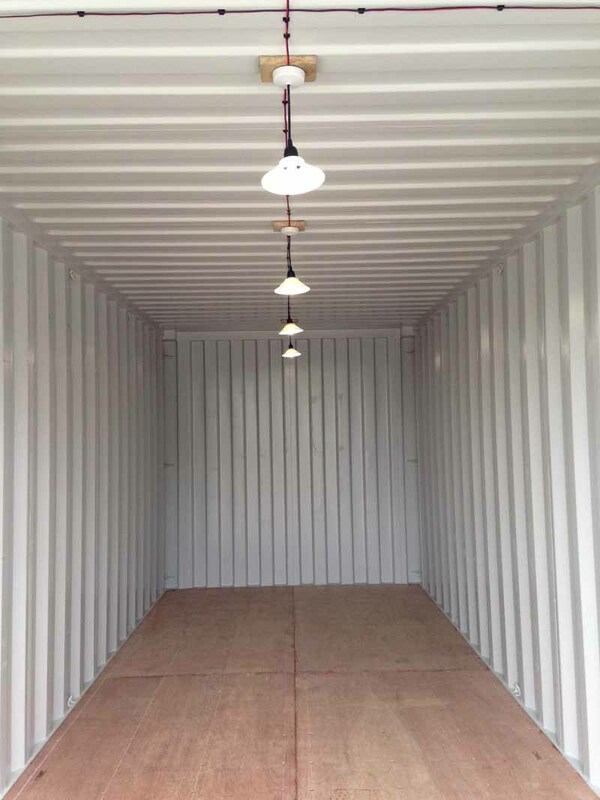 The idea was to install low energy 12 volt lighting into a series of separate storage units (shipping containers) enabling good access during the autumn / winter months when darkness draws in early. 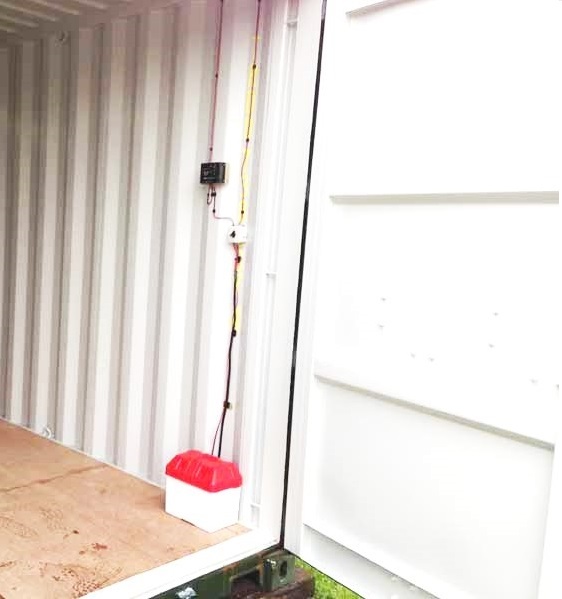 Each secure storage container is 20 feet long and would appear especially dark towards the very back due to there being no windows to allow natural light. 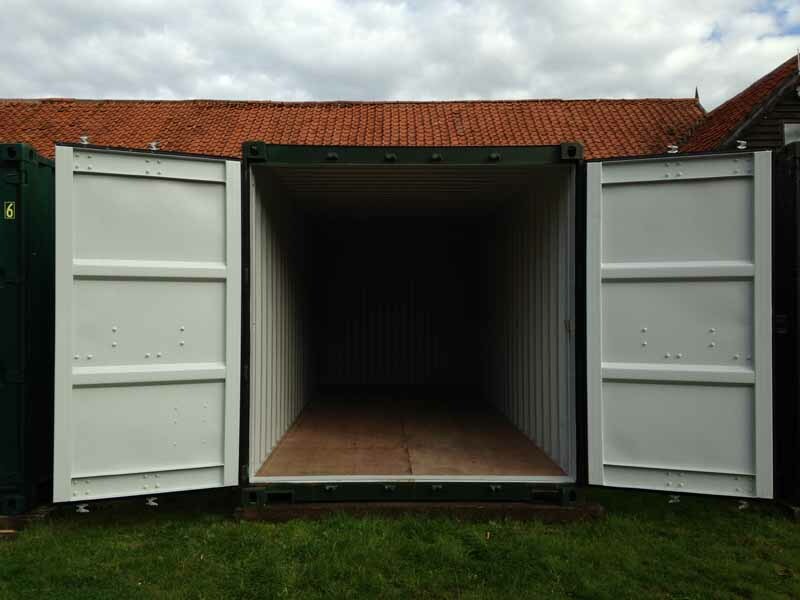 The units are to be used to keep business materials dry and safe. The solar PV powered DC lighting system will mean that the users will be able to pick and access from racking, the various stored items easily in good light conditions. 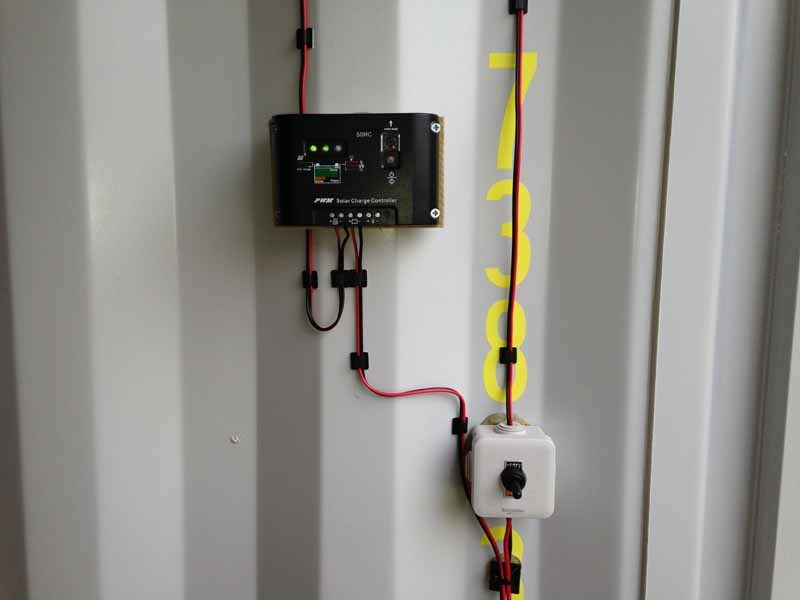 It was decided that separate micro solar PV systems should be installed for each container. This would keep the installs at a nice DIY easy level.The customer opted for a 10W 12V PV panel and matched with an OnSolar 10A solar PV regulator. In order to produce the maximum light for minimal power consumption, we recommended using our 3W LED stable lighting units as they would offer convenience for installation and at the same time direct light mostly downwards over a wide 120 degree angle. The 7 inch shade is semi transparent so allows a small percentage of light to create some upward illumination. 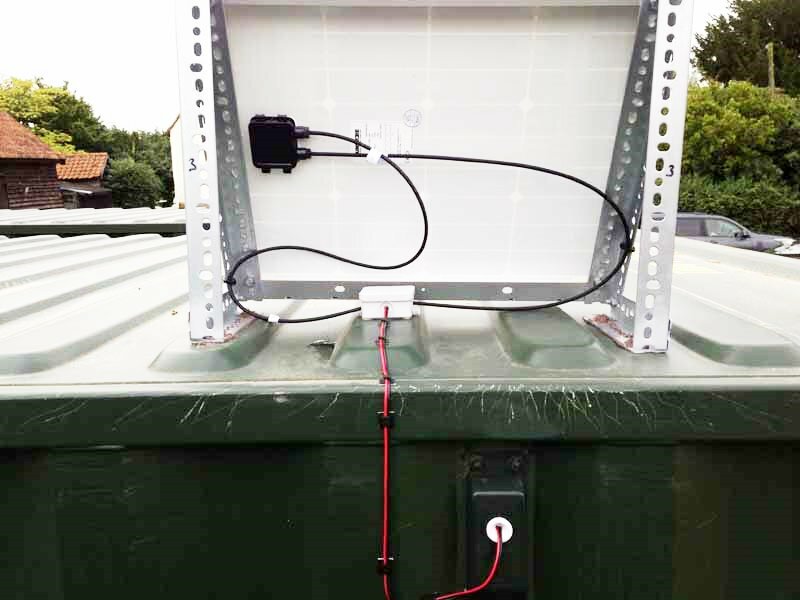 As you can see in the second image, the 4 OnSolar stable lighting units provide a good level of light throughout the whole length of the container.The battery was chosen as a low cost unit as the system would be trickle charged during daylight most every day apart from very dull dark and seriously overcast days when very little charge would be received. This is a good move if you do not intend to discharge your battery frequently to a low level. Almost any battery even a second hand or used car battery will do very well if not discharged more than say 10 or 15% on a frequent basis. See the plastic enclosure to keep the battery dry and the user safe from acid and such. Solar Charge regulator / Controller gives the green light that the PV panel is producing free energy from the sun! year than in the summer”.A very sound approach, and we note that there are no restrictions from overhanging trees and the likes so the PV panels will receive the maximum light available unhindered. Thank you very much to ‘Alan’ for sending us a series of great images illustrating the installation of the OnSolar stable lighting units. Head over to our main OnSolar blog to see if there is anything else you may wish to read. One of the most gratifying things a horse owner can do is to install a simple 12v lighting system into the stable to allow maintenance routines to be carried out throughout the year in complete safety.